This last week we were visiting our daughter in Los Angeles. 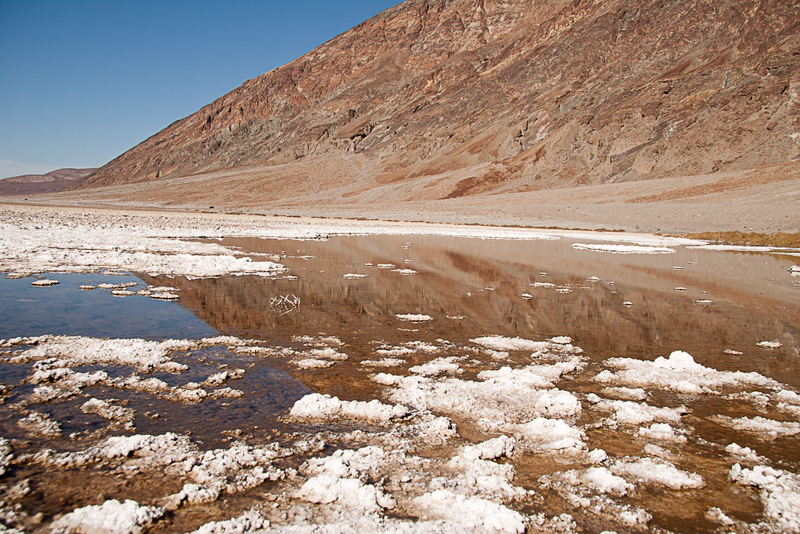 For some time, we had wanted to see Death Valley, so it turned out to be a pleasant turn of events when we learned that Carol and her children had already made plans to go there over the weekend. Susan collected a whole stack of guide books before the trip and had plotted out an itinerary. Unfortunately we could not leave before school got out on Friday, so we steered across LA in the midst of early rush hour traffic (When isn’t it rush hour traffic in LA?) and got out to the desert just as it was turning dark. Clearly it is better to stay in the park at Furnace Creek, but that would have been another two hours of travel at night so we wound up staying in the little town of Lone Pine. We arrived after 8 o’clock, and the already limited choices for dinner became even more limited as most closed at 9 PM. We chose the Mt. Whitney Restaurant even though there were no other customers. That was our first clue that this would not be a transcendent dining experience, but with two very tired, hungry kids that seemed secondary. 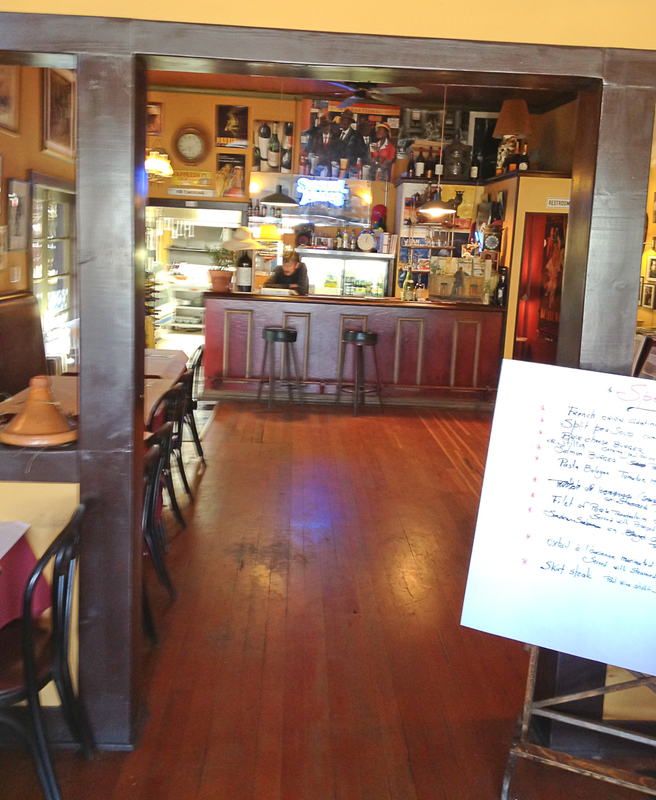 The menu was extensive, including meatloaf, open-faced meatloaf sandwich, clam chowder (in the desert?!) and regular, ostrich, or buffalo hamburgers. 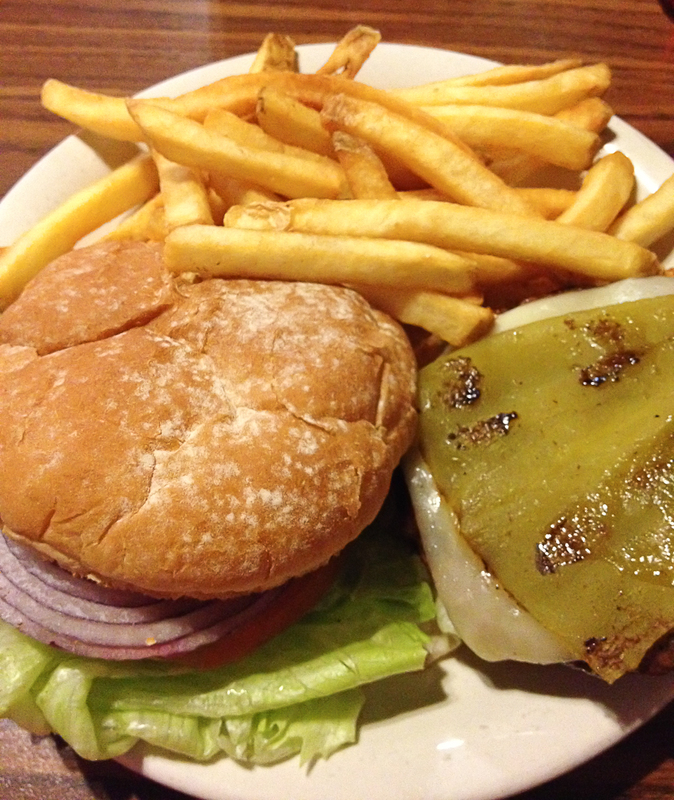 In my misguided quest for the perfect green chile cheeseburger, I ordered the buffalo version. The server, with some heavy ink and dressed in his cut-offs, high school T-shirt, and Converse low-tops, strongly recommended that the burger should be cooked at least medium. I complied with his suggestion, although since then I have wondered whether there might have been some motive to his advice. The adults ordered wine, and soon enough we were all brought a mini-screw-top bottle and an empty wine glass. The meals arrived, and although the French fries were good, we saw that our overall expectations had been realized. The next morning we loaded up and headed to Death Valley. 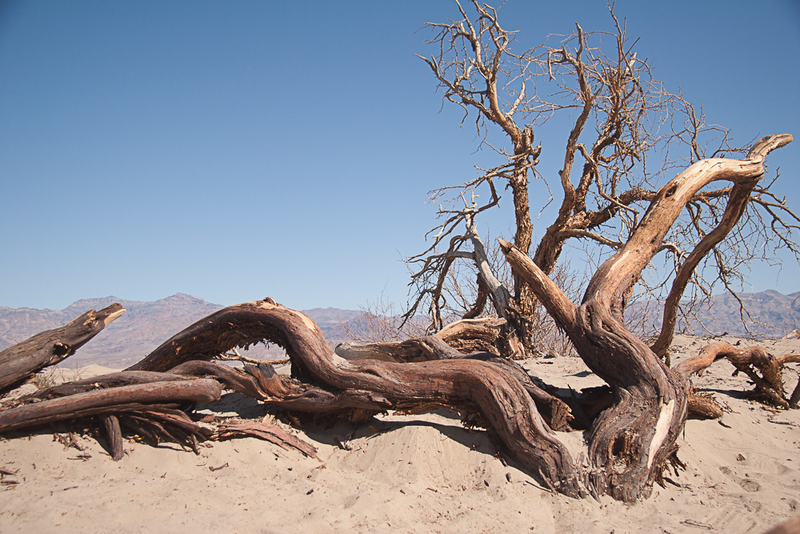 The drive was long and dusty, and although the map showed stops at Panamint Springs and Stovepipe Wells, there was not much until we arrived at Furnace Creek. There, crowds milled around the restaurants, bars and gift shops at the Furnace Creek Ranch. We had a pleasant lunch in the busy but not crowded café. Service was fast, efficient, and friendly. The food was surprisingly good, plentiful, and not too expensive. 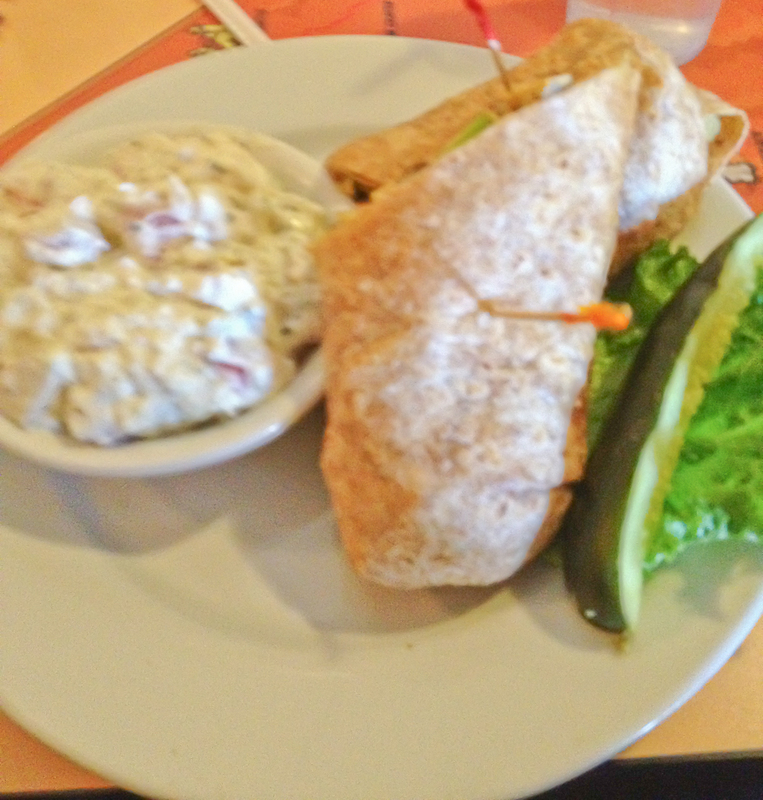 I got the curry chicken salad wrap, and it hit the spot. The real pleasure palace at Furnace Creek, though, is the Furnace Creek Inn. The elegant inn sits up on a hillside surrounded by an oasis of palm trees, flowers, and green lawns. After an afternoon of sight-seeing, we stopped in for cocktails for the adults and ice cream for the children. We sat in the beautiful lounge with amazing vistas of the desert floor. The staff was very pleasant to us even though we looked like desert rats. However, we also learned that shorts and T-shirts are not permitted in the dining room for dinner. The Inn is clearly the place to stay, just make sure your credit card is paid up before you book a room. We drove back to Lone Pine in the twilight, cleaned up, and then went out to dinner. Our first choice, Seasons, clearly had the best menu along with white linens and a good wine selection, but reservations would have helped. After a long wait with two impatient kids, we left for the restaurant next door – the Merry-Go-Round. That turned out to be a good choice. Otherwise we would not have gotten some of the laughs we enjoyed over the next couple of days. We walked into the circular dining room covered in mirrored tiles to be ushered by the young server to a too-small booth. Suddenly a stout, grey-haired older man with an apron appeared from the kitchen and announced that the booth would not do. He sent us to two tables in the middle of the room. We pushed them together only to have the old man declare loudly that we needed to pull them apart again so that he could cover them with two white tablecloths. After that, he plopped a stack of menus on the middle of the tables and announced that one menu was for Chinese while the other was for American, depending upon our wishes – and for that matter, we could order from both. The young server then finished the table with paper placemats depicting the Chinese zodiac and promptly disappeared into a small room where he got into a loud discussion with another person accompanied by startling crashes. He reappeared but no longer had any interest in us until Susan called him over and asked him to take drink orders. I ordered some Chilean wines. He then asked, “Are you familiar with that wine? I would not recommend it.” He suggested another wine, but I chose a red from Paso Robles. Obviously, he was convinced that I had still made a bad decision, because when he brought out the wines – filled completely to the brim, he set a second glass at my place with just a swallow of the wine he had recommended. He pointed out to Susan that there was a bit of cork in her glass, but that the extra protein would do her good. 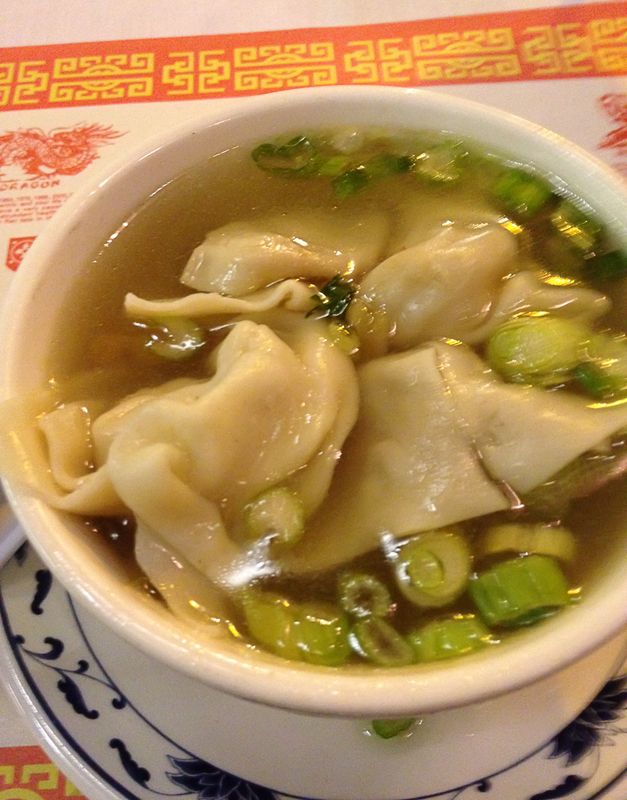 After a bit of a skirmish with the young waiter about the menu (Carol asked what vegetables were in a particular dish, and he asked in reply, “Do you really want me to have to go back into the kitchen to find out?”) – we ordered Chinese, which turned out to be surprisingly good. It was prepared by the mother in the kitchen. The gray-haired man was the boss, and the reluctant server was their son. Throughout the entire evening, Susan kept saying, “I feel like I am in ‘The Twilight Zone'”. At one point I even thought I saw Rod Serling sitting in one of the booths. Since he died in 1975, that seemed unlikely. On the other hand, everything seemed possible by then. We finished our meal just as a couple in a nearby booth were getting ready to leave. The asked for a carry-out box for a huge plate of unfinished food. The waiter brought a tiny box which didn’t work, so he tossed it from about 10 feet onto a towering pile just behind the hapless couple. Our bill was paid, and we returned to the motel marveling at our experience. The next day we toured the Alabama Hills where all of the western movies of my childhood were made. I think I even recognized a rock where Gene Autrey hid from the bad guys. 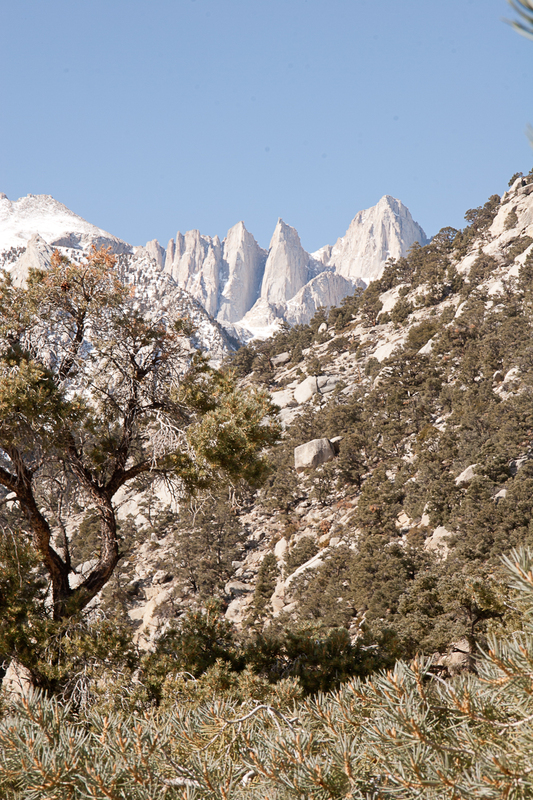 Then we drove as far as we could up the road to Mount Whitney. A tour of the National Historical Monument devoted to the Japanese internment during World War II completed the morning. The exhibit was worthwhile, and even the children got a lot out of the visit. But everyone was hungry so we stopped at a recommended restaurant in the tiny town of Independence. The Still Life Café is run by a French couple, and the menu is definitely French but also definitely good. 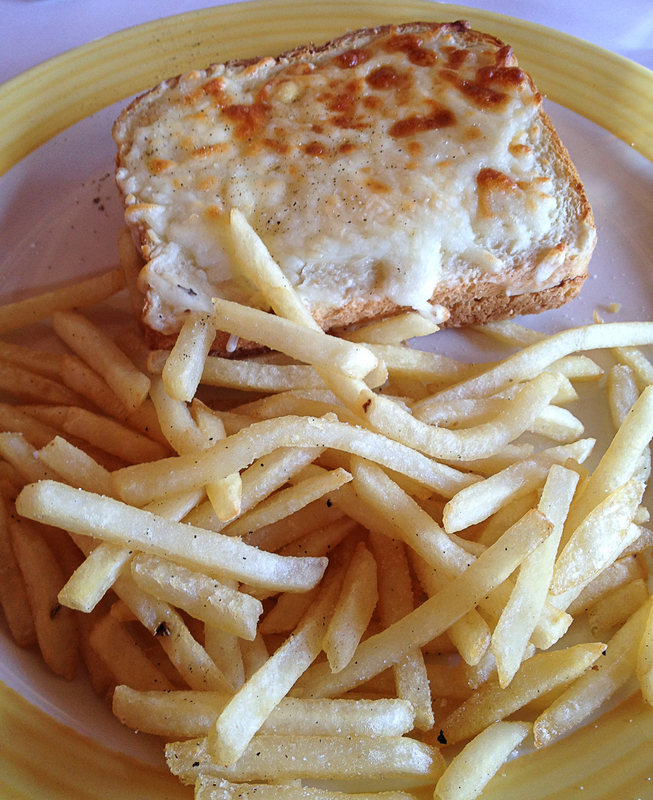 My croque monsieur was outstanding, and the pommes frites were a cut above McDonald’s. First stop was the Mesquite Sand Hills. Although they are not as big as either the White Sands or the Great Sand Dunes, they are still impressive and quite beautiful in the desert setting. 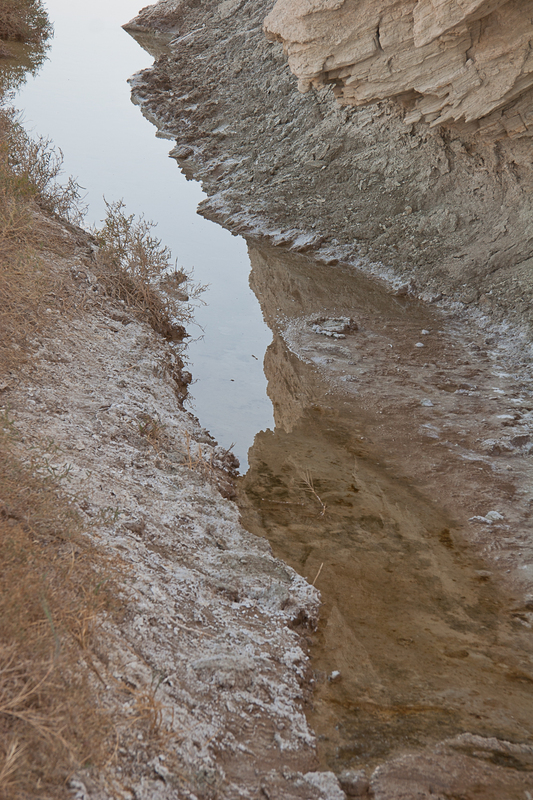 Next stop was Salt Creek where we strolled along a boardwalk, watched the pup fish swimming in the salty stream, and enjoyed the desert scenery. Badwater is the lowest point in the Western Hemisphere (-282 feet) so we had to go there, along with tourists from all over the world. The formations of mineral crystals on the surface of the water were impressive and beautiful. We drove through the narrow, colorful canyon of Artists Drive and made it to Zabriskie Point just as the sun was reaching a good angle for photos. 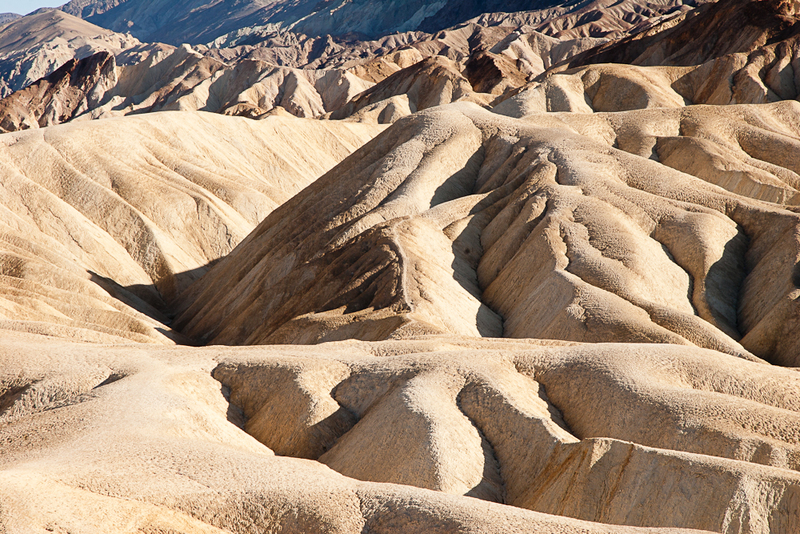 Zabriskie Point may be the most famous place in Death Valley because of the movie, but it is also one of the must-see stops. Our visit to Mount Whitney (highest point in the contiguous 48 states – 14,505 feet above sea level) was our final photo-op before we headed back to LA. But we definitely plan to visit Death Valley again.